ABSTRACT: This paper evaluates the revival of Maoism in China as major factions of the Chinese Communist Party take a conservative turn in ideology and politics. While the changhong (“singing red songs”) campaign spearheaded by the ousted party chief of Chongqing, Bo Xilai, has attracted the most attention in and outside of China, power blocs ranging from the Communist Youth League Faction under President Hu Jintao to the Gang of Princelings headed by Vice-President Xi Jinping have also resuscitated different aspects of the teachings and values associated with the Great Helmsman. For this reason, the political demise of Bo does not mean the cessation of the revive-Maoism phenomenon. This study also assesses the impact of the restoration of Maoist norms on aspects of Chinese politics such as the future of political reform. KEYWORDS: Maoism, conservatism, dissent, princelings, political reform. 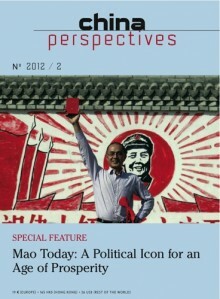 ABSTRACT: Rather than repudiate Mao’s legacy, the post-revolutionary regime in China has sought to recruit him in support of “reform and opening.” Beginning with Deng Xiaoping after 1978, officialhistoriography has drawn a distinction between Mao the Cultural Revolutionary and Mao the architect of “Chinese Marxism” – a Marxism that integrates theory with the circumstances of Chinese society. The essence of the latter is encapsulated in “Mao Zedong Thought,” which is viewed as an expression not just of Mao the individual but of the collective leadership of the Party. In most recent representations, “Chinese Marxism” is viewed as having developed in two phases: New Democracy, which brought the Communist Party to power in 1949, and “socialism with Chinese characteristics,” inaugurated under Deng Xiaoping and developed under his successors, and which represents a further development of Mao Zedong Thought. The Hu Jintao leadership has made an aggressive effort to portray “Chinese Marxism” as the most advanced development of Marxism that might also serve as a model for others. These interpretive operations have salvaged Mao for the national revolution and the legitimacy of the Communist Party. But it also presents a predicament in keeping alive memories of Mao’s policies, which the Party is not always able to control in political memory, as has been illustrated most recently in the Chongqing experiment. KEYWORDS: Mao Zedong, Mao Zedong Thought, Deng Xiaoping, “Chinese Marxism,” New Democracy, “socialism with Chinese characteristics”. ABSTRACT: This essay takes as its starting point the precipitous fall of Bo Xilai in March 2012 and discusses the context of the abiding significance of China’s red legacies, in particular Maoism, in understanding the People’s Republic of China today. While thinkers labour to salvage Marxism, the red legacy constitutes a body of cultural, intellectual, and linguistic practices that are profoundly ingrained in institutional behaviour in China. This study explores to what extent this version of the red legacy leeches out the power of other modes of leftleaning critique and independent thought, and abets the party-state in its pursuit of a guided, one-party neo-liberal economic agenda. KEYWORDS: Bo Xilai, Wang Lijun, Mao Zedong, Zhang Musheng, red culture, Maoism, Chinese history, neo-liberalism, New Left, Children of Yan’an. ABSTRACT: The two Mao films of 2009 and 2011 set a new standard in the confluence of commercial and propaganda productions in terms of sheer scale. While they are not fundamentally new in repackaging propaganda as entertainment, or even in co-opting parodic elements within official discourse, this essay argues that, viewed against the background of recent policy speeches, they contribute to defining the new “mainstream socialist culture” set out as a cultural policy goal by Hu Jintao. By the same thrust, they redefine the figure of Mao and the role of the CCP in an attempt to stake out a popular consensus on the contemporary Chinese polity. KEYWORDS: Mao Zedong, red culture, propaganda, “Mainstream socialist culture”, cultural policy, main melody (zhuxuanlü), Hu Jintao. ABSTRACT: In my youth, I was a worshipper of Mao Zedong. From the latter stage of the Mao Era to the early years of Reform and Opening, I began to reflect on Mao and the Communist Revolution he launched. In recent years I’ve devoted myself to empirical historical research on Mao, seeking the truth about Mao and China’s modern history. ABSTRACT: The following article places in context cinematographic representations of the non-Han during the socialist and contemporary eras of the People’s Republic of China. These two periods are characterised by the prolific production and distribution of films featuring non-Han characters and by the wealth of subjects they deal with. The aim is therefore to shed light on the analysis of contemporary productions and to understand how they coexisted with the promotion of socialist films in the first decade of the twenty-first century. KEYWORDS: minzu, non-Han, socialist cinema, contemporary cinema. ABSTRACT: The re-election of Ma Ying-jeou on 14 January 2012 was not as close as had been anticipated. This was in particular because he managed to win the support of some young voters, who at the beginning of the campaign were massively in favour of Tsai Ing-wen. In order to highlight the reasons why Taiwanese in the 20-to-29 age bracket changed their minds, this article analyses their perception of the two candidates, their main preoccupations, and their position in relation to the main themes of the campaign: the economic and social situation, identification with Taiwan, the island’s international status, and relations with China. KEYWORDS: Taiwan, elections, youth, generation, Tsai Ing-wen, Ma Ying-jeou, China.